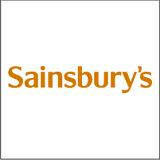 Sainbury's have the most active eco initiative of any of the big four, they are proactive, they are the only supermarket (of the big four) to ever reply to you emails, with regards to eco labelling. Which may be more related to customer service standards than green claims but there we are. . . . . They are well ahead of their competitors with regards to eco labelling, especially when it comes to sustainable fish labels. The also have ambitions to lower there packaging's environmental impact. Our packaging targets are to reduce our own brand packaging weight, relative to sales, by 33% by 2015 against a 2009 baseline, to use materials with recycled content or sustainable sources where possible and to aim to make our packaging recyclable in the UK. We already have recycled content in some of our own brand plastic packaging. 25% recycled plastic in our own label water bottles 15% recycled plastic in all our milk bottles 100% recycled plastic in our Taste the Difference fresh juices. With regards to Bio plastics, we only use materials from non GM sources that are home compostable or that comply with standard EN13432. Sainsbury's has already started to change green claims and symbols on its own brand products in response to the DoE/DTI draft Green Claims Code, Alison Austin, Environment Manager, told a seminar in London today. The term 'environment-friendlier' and a symbol showing a hand cradling the world were two examples of labelling that would be removed from Sainsbury's own brand products over the next year. More recently these claims are perceived to imply that we are dealing with the 'cradle to grave' environmental aspects rather than a limited range. In some areas, retailers must ensure that removing claims or changing them does not mislead customers further. For example, in removing the message 'This product contains no CFCs' (because legally they can't!) consumers might believe that CFCs have been put back. Alternative wording has yet to be finalised. Other claims would stay, however. Marks such as the Soil Association symbol for organic food and Forest Stewardship Council's trademark for timber products, and the EU Eco-label and Energy labels are important, independently verified schemes in which there is a high level of customer confidence. 'This draft Code is a very helpful contribution to encouraging customers to take environmental criteria more strongly into account in their purchasing decisions,' she said.